Each player is a salesperson who tries to outwit the others. 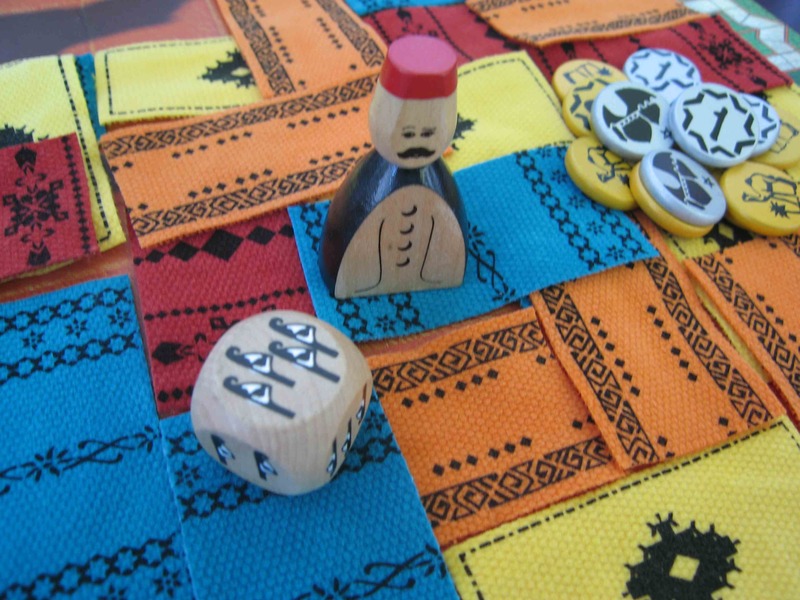 Each player takes it in turns to throw the dice and then move Assam, the market organiser. If Assam stops on an opponent's rug, the salesperson must make a payment to its owner before putting one of their own rugs on an adjoining space. When the last rug has been laid, the total number of visible rugs and the number owned by each salesperson are added up: the best player wins!